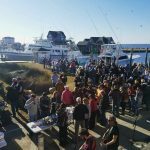 The sixth annual Hatteras Island Oyster Roast at Oden’s Dock hosted by the North Carolina Coastal Federation on Saturday, Feb. 2 saw record breaking attendance of over 400 oyster enthusiasts, making the event a sold out affair. 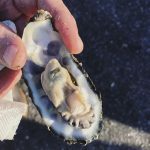 Guests traveled from up to six hours away to enjoy unlimited oysters, chowder and corn bread. The federation is grateful for the opportunity to organize a fun event for the community, even during the winter season. 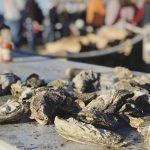 The event is held to celebrate local heritage, community and the coastal environment, while raising money to support the federation’s coastal restoration projects, many of which include oyster restoration. 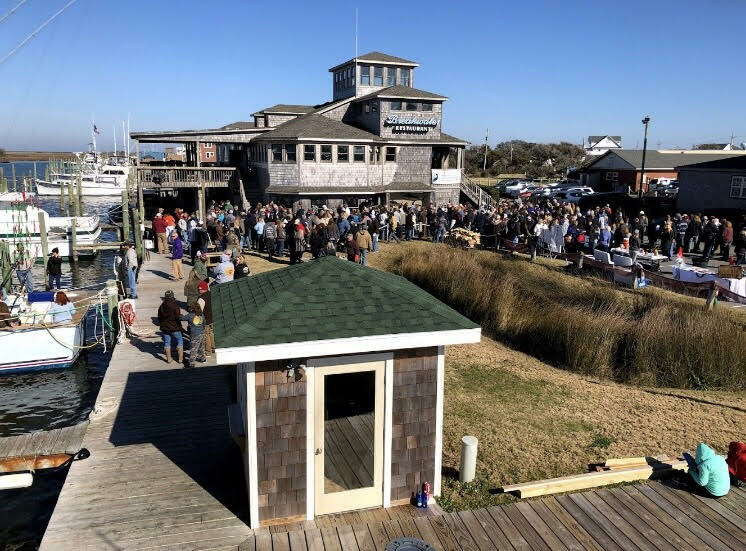 The online tickets via the federation’s website were sold out two days before the roast and only a limited number of tickets were available “at the door” at Oden’s Dock an hour before the event. 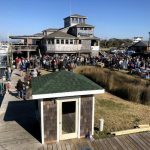 Sunny, warm weather for February brought in over a hundred additional people ready to buy tickets the day of the roast. 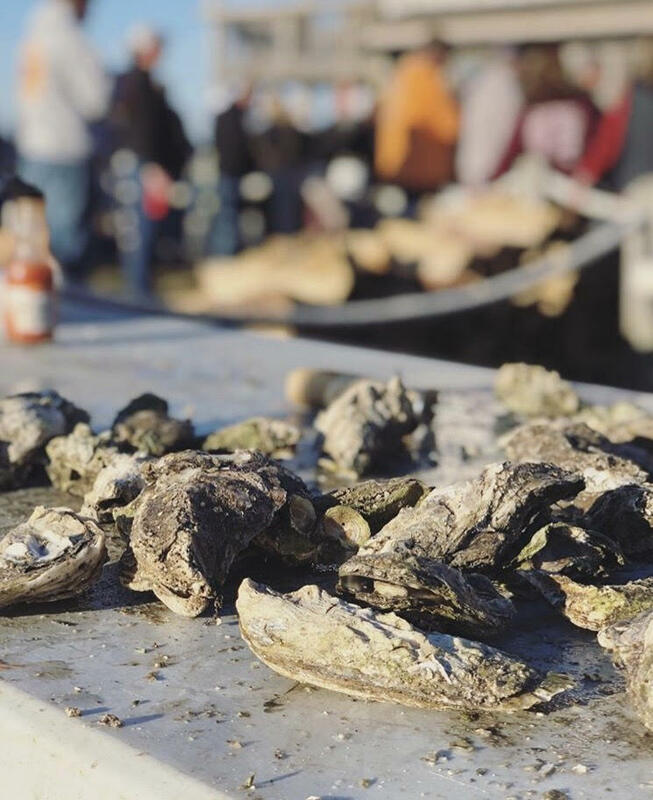 With the intent of supporting the local seafood market, the oysters enjoyed at the roast were harvested along the North River by Lloyd Culpepper, an 86-year-old waterman from North Carolina, and were sold through Garland Fulcher Seafood Company. The delicious chowder was prepared by the chefs onsite at the Breakwater Restaurant. 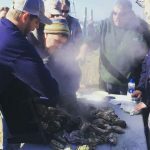 Thanks to staff and volunteers from Risky Business Seafood, all the oysters were washed on site that morning and crews worked hard roasting oysters bushel by bushel all afternoon. 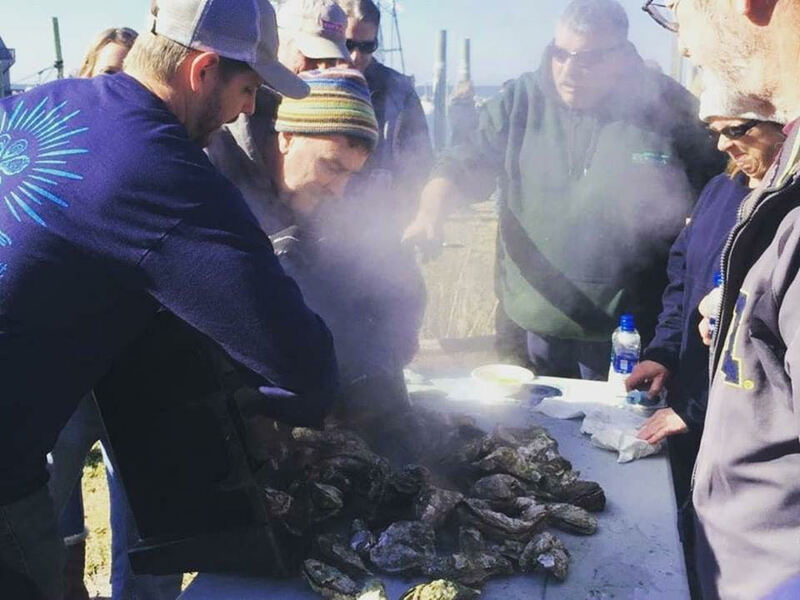 Propane donated by Coastal Gas Service kept the oysters warm and toasty. This year, a silent auction was included as part of the roast to raise additional funds for the federation. Lynne Foster, long time member and supporter of the federation, was instrumental in acquiring donations for the silent auction. 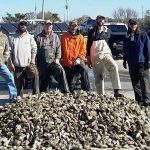 A single donation quickly grew to a total of twenty items, a testament to the generosity of local businesses and artisans, who voluntarily donated items ranging from jewelry, artistic prints and local spices to kayak tours and a half day charter fishing expedition. 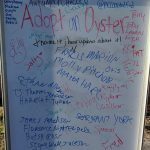 The federation’s Adopt-an-Oyster program served as an additional fundraising opportunity for guests to participate in this year, where every dollar goes towards the federation’s oyster restoration programs. 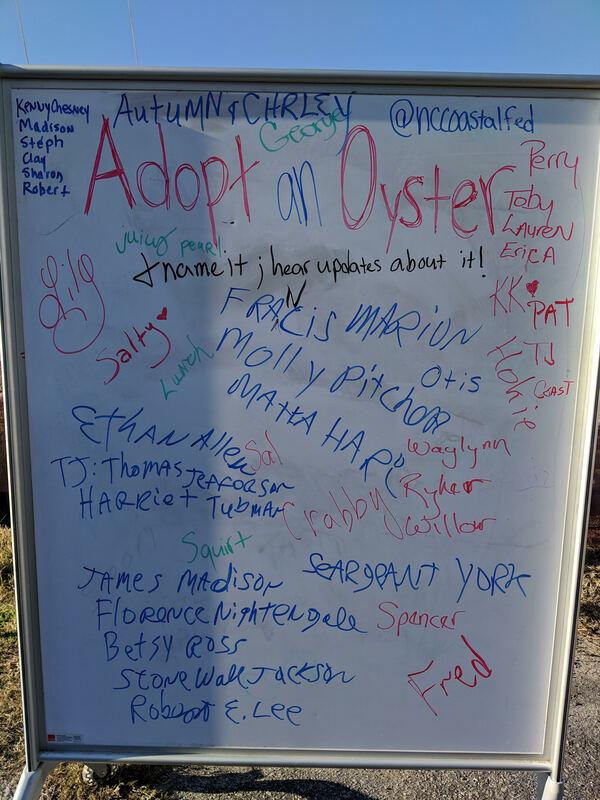 Guests had the chance to name their oyster and will receive updates on its progress. 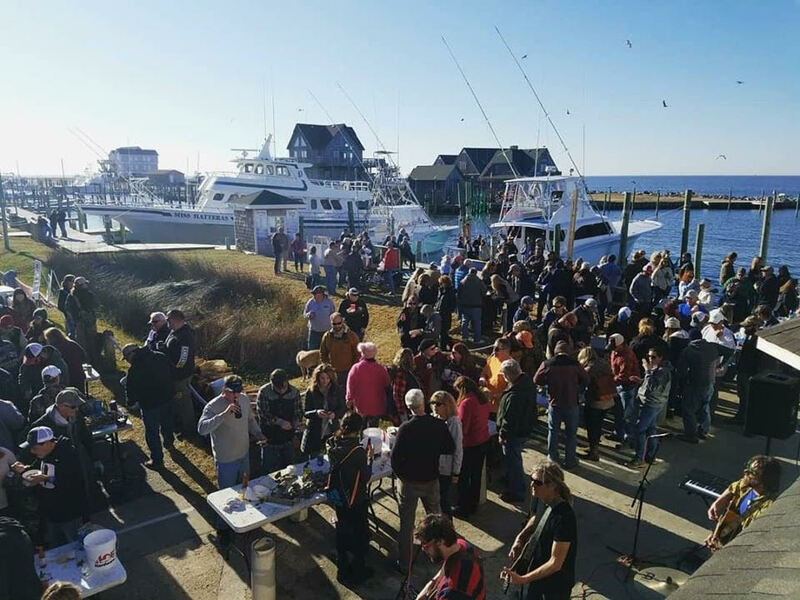 While everyone was busy enjoying the food and drink options, Blurky’s Quirky Friends, based out of Hatteras, played live music for guests to enjoy throughout the day. “I look forward to this event every year. 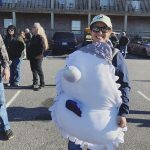 It’s a great way to bring the community together, while supporting a great cause,” said Michael Serbousek, a federation volunteer and longtime supporter. 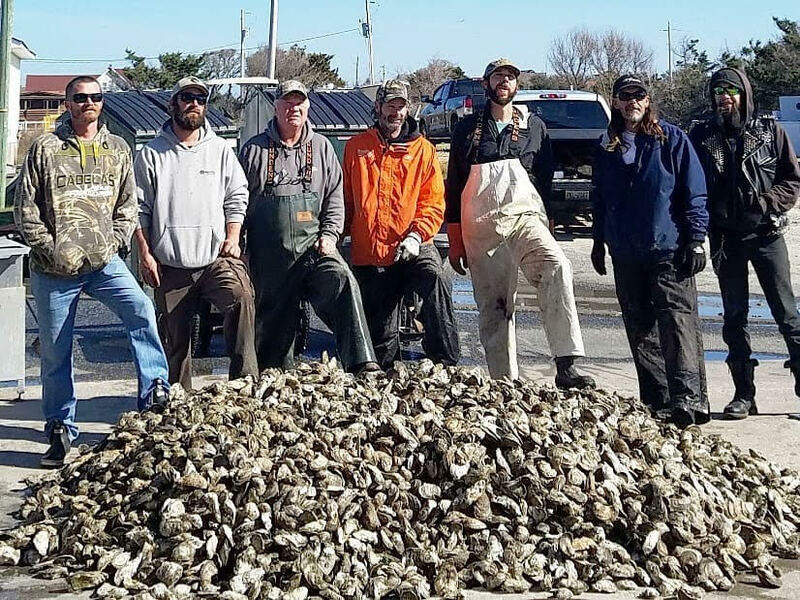 About 55 bushels (or 150 bags) of oyster shell were recycled. 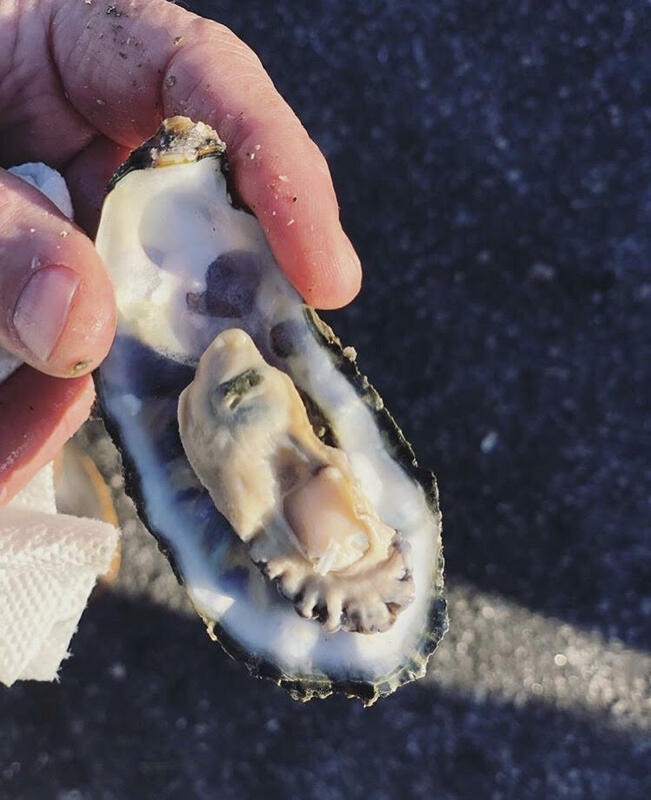 This shell will be used in oyster restoration projects so that oysters can continue to be enjoyed for years to come. 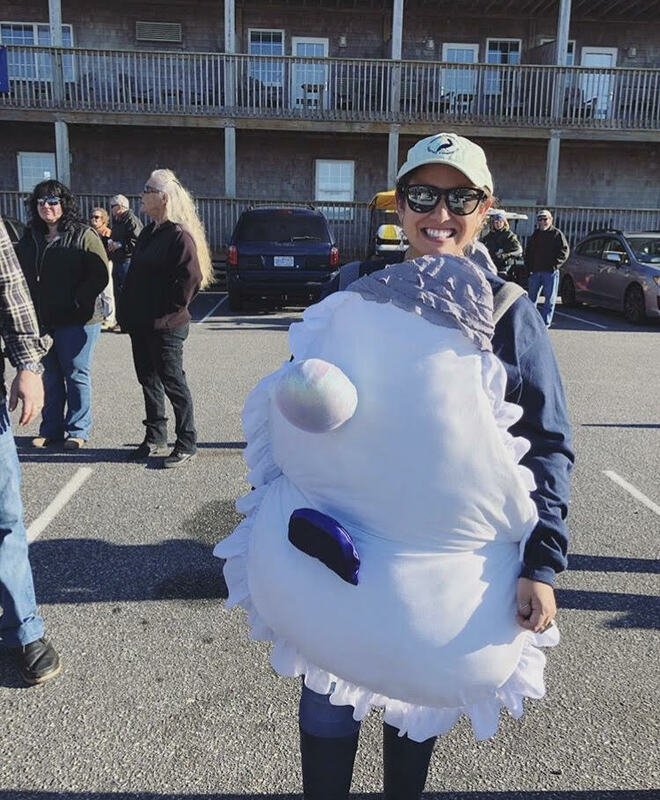 The federation wishes to thank the volunteers whose hard work made the oyster roast a success, as well as the sponsors for their support, including the Outer Banks Visitors Bureau, City Beverage Company, Real Watersports, Midgett Realty, Dixon & Dixon Law Offices and Buxton NAPA Auto and Marine.